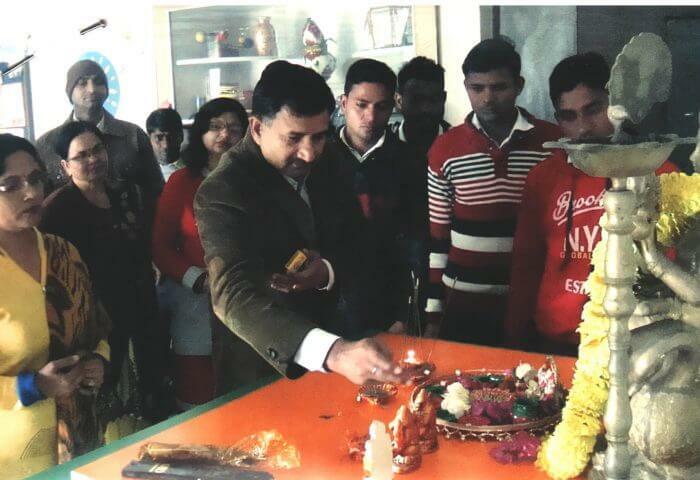 On this occasion Students and Staff members of College, lightning up before the Goddess Maa Saraswati. Basant Panchami is a famous festival that marks the end of the winter season and ushers in the springtime. Sarasvati is the Hindu goddess of the Basant Panchami festival. Young girls wear bright yellow dresses and participate in the festivities. The color yellow holds a special meaning for this celebration as it signifies the brilliance of nature and the vibrancy of life. The whole place bursts with yellow during the festival.